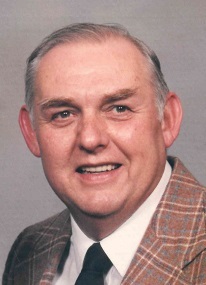 Dennis F. Shreve, 76, passed away April 12, 2019 at St. Vincent Medical Center in Evansville. He was born in Richland, Indiana on August 6, 1942, son of the late Dauby Shreve and Dorothy (Stateler) Hoosier. Dennis was an U.S. Army veteran and retired after 20 years of service to his country. He had also managed Pizza Inn in Tell City and had worked at Branchville Correctional Facility. He was a lifetime member of the V.F.W. Post 2939, Disabled American Veterans, Harry G. Meyers American Legion Post 142, Cannelton and was Master Mason of Tell City Masonic Lodge #623. He enjoyed camping, fishing and spending time with his family. Surviving is his wife, Sharon (Harris) Shreve, Tell City; children, Dennis Shreve, Jr. (Leslee), Riverton, Utah, Terry Shreve, Tell City and Kimberly Patrick (Thomas), Tell City; grandchildren, Amanda Litherland (Aaron), Heather Patrick, Alishia Canary (Josh), Matthew Shreve (Tristen), Stephen Patrick (Amity), Amber Crockett (Benjamin), Megan and Miranda Shreve and Amber Wheeler (Daniel) ; ten great grandchildren. Funeral services will be held at 11:00 AM CDT on Tuesday, April 16, 2019 at Huber Funeral Home, Tell City Chapel. Burial will follow in Greenwood Cemetery with military rites provided by the V.F.W. Visitation will be Monday from 3:00-8:00 PM and Tuesday 9:00-11:00 AM at the funeral home. Memorial contributions may be made to the V.F.W. Post 2939.